Does finding the meaning of life mean exploring ancient texts? Does it mean discovering the true meaning of the religion of your youth and closing off all distractions to its true meaning? 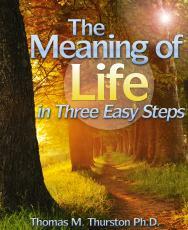 Does discovering the meaning of life mean finding the ancient wisdom of the East through dharma, yoga or Zen? Does it mean studying at the feet of a master or guru? Does it mean pouring over philosophical tomes? This page was created in 0.3631 seconds.